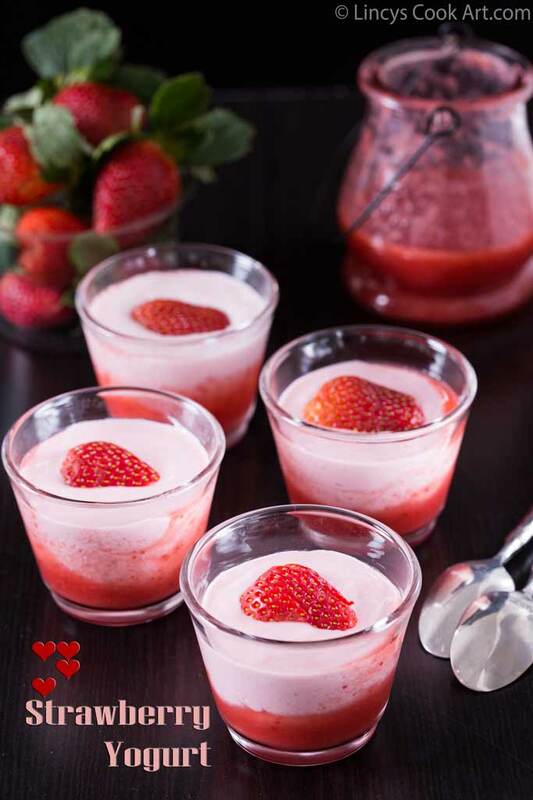 Strawberry yogurt is a tasty fruit flavored yogurt which could me made with low fat or full fat yogurt. 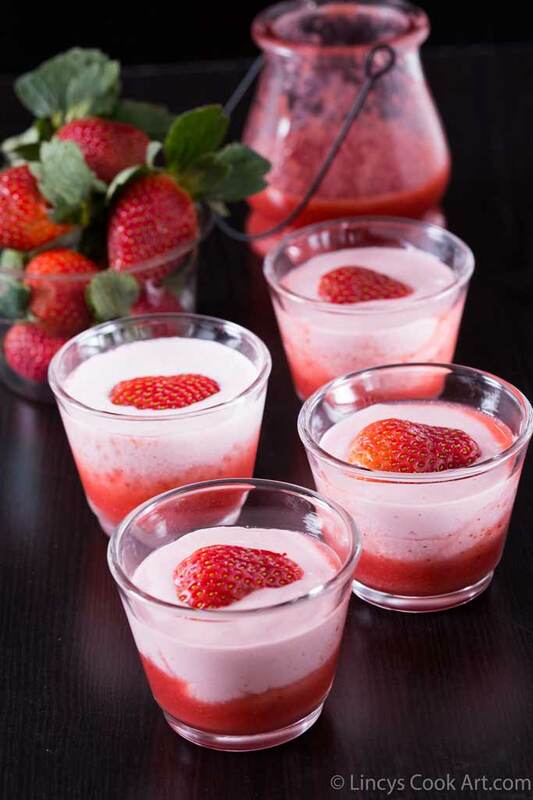 Healthy with the goodness of strawberries and the probiotics present in yogurt good for digestion. You could serve this as a dessert or in small quantities with breakfast. Goes well with crepes, pancakes, waffles, any cereals, snackbars. You could use this fruit yogurt for layering parfait too. Quick healthy tasty dessert prepared in minutes without much ingredients. Suits for Valentines day too as the colour is with red and pink combination. 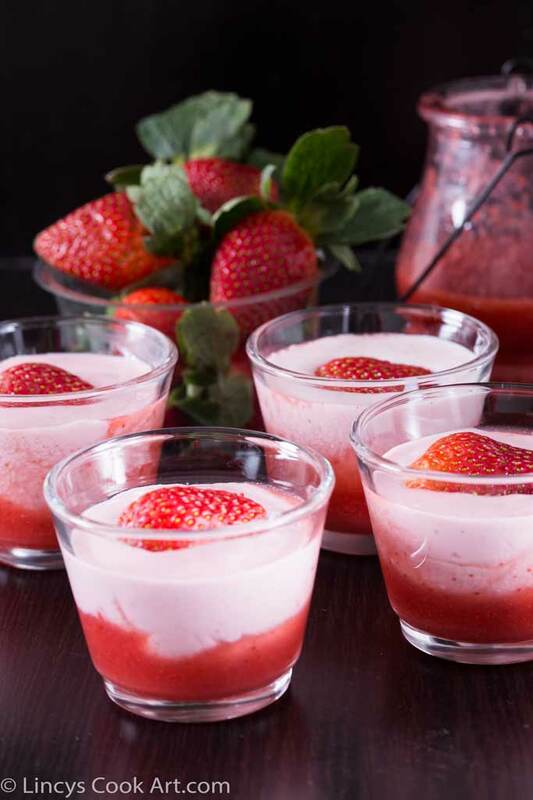 Do try this healthy dessert or breakfast at this strawberry season! Add 2 cups of thick yogurt in a muslin or cotton cloth and allow to strain for 30 minutes. Squeeze to remove water and set aside. Remove the stem and leaves from strawberries and roughly chop them. 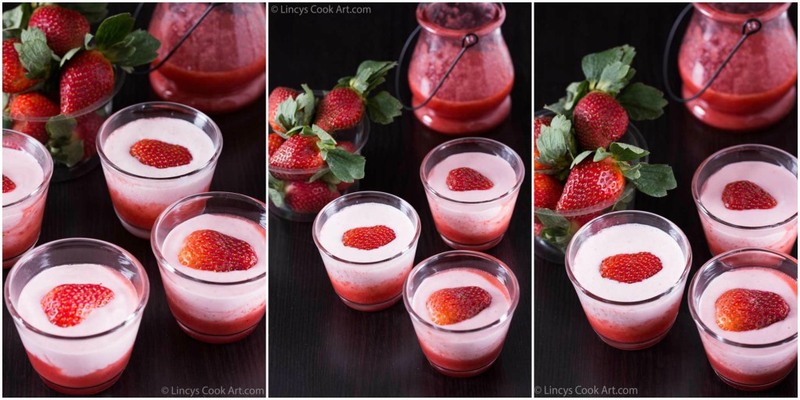 Add the chopped strawberries inside blender jar and add the sugar and blend to make a paste. 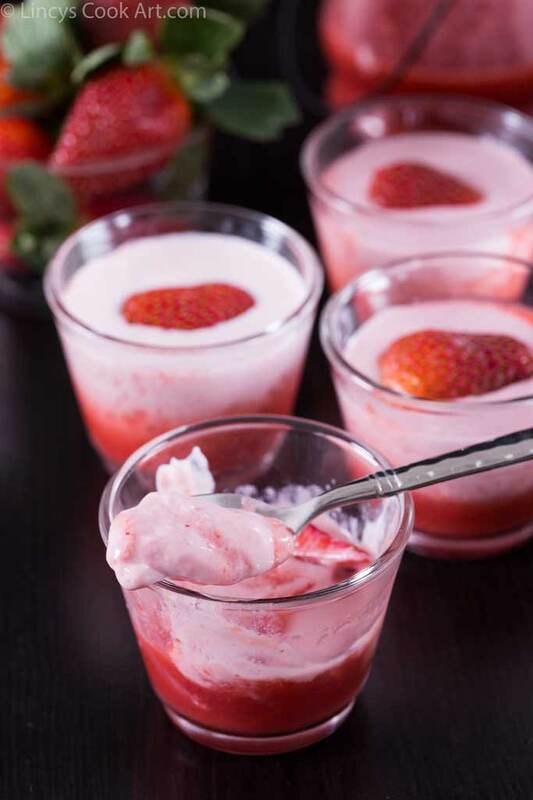 Remove around 4-6 teaspoons of strawberry puree and add the hung curd with the remaining strawberry puree inside the blender. Blend once or twice to make combine well. Do not pulse more as the jar heated up and heat dilutes the curd. So carefully do that. 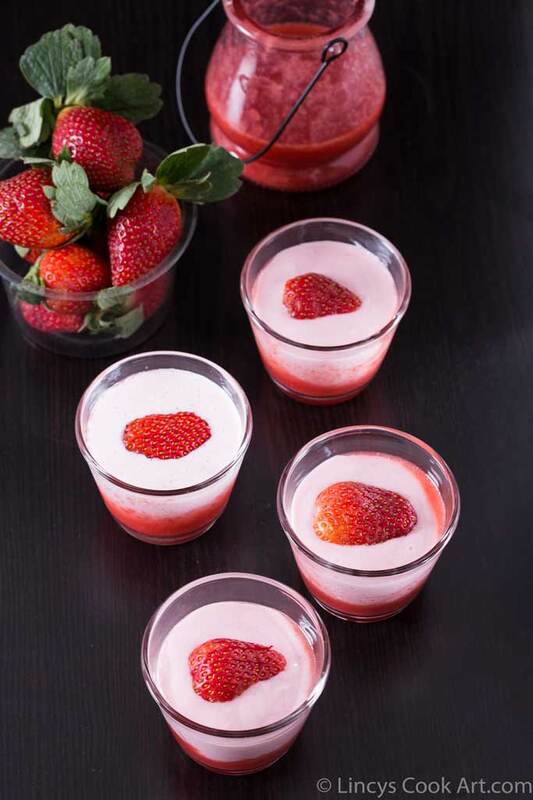 In small serving glasses add one or two teaspoons of reserved strawberry puree(You could replace it with strawberry syrup too if you have less now of strawberries with you or skip this layer) and then top it with the fruit yogurt and garnish with freshly chopped strawberries. Note: Adjust the sweetness according to your taste. 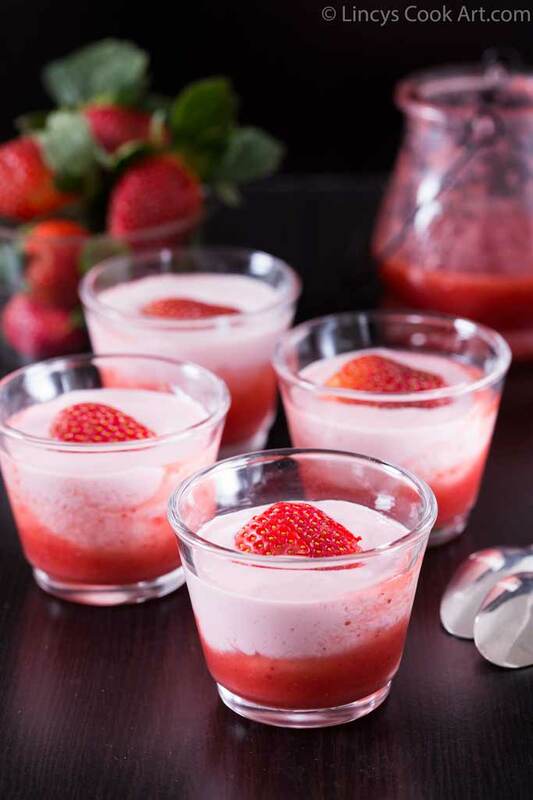 Refer here for more Strawberry Recipes. Lovely pics. 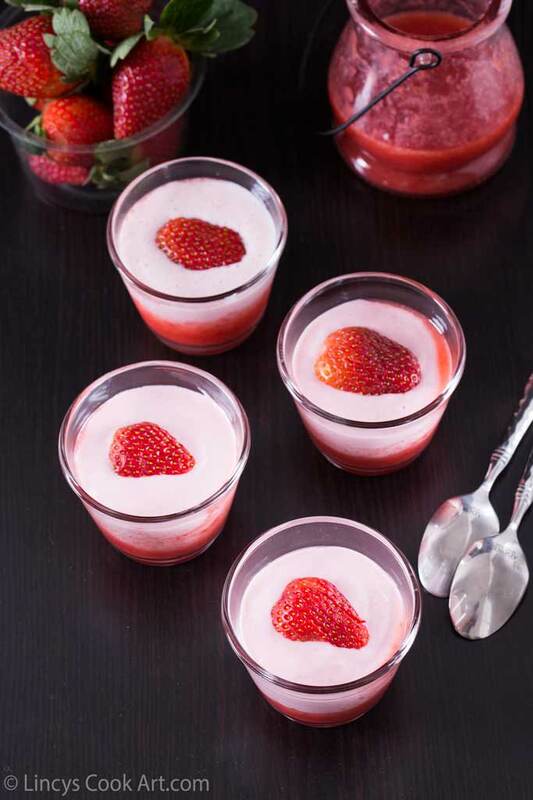 Strawberry yogurt looks yum.